President Donald Trump will be on his way to Britain later on Thursday, his three-day working visit will include meeting Prime Minister Theresa May, Queen Elizabeth II and business leaders before he heads to Scotland for a weekend of golf. A range of foreign policy issues ranging from Russia, trade, Brexit and the Middle East are all on the agenda when May and Trump meet. 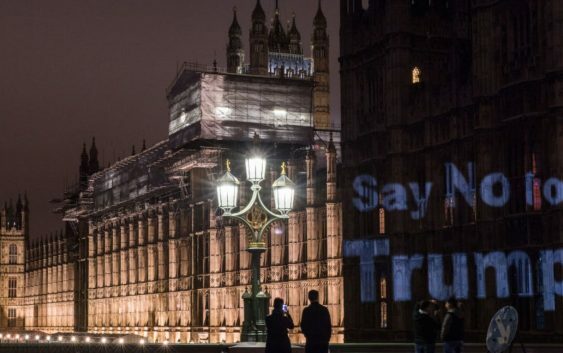 Trump’s visit is controversial, however, and mass protests are planned in various locations throughout the country, including London where a giant balloon depicting Trump as a baby is set to hover over the city. The Guardian: The left-leaning Guardian broadsheet sums up the lead-up to Trump’s arrival on Thursday afternoon with: “The protests have already begun, police leave has been cancelled, while the prime minister and her foreign secretary are nervously preparing for any potential mishaps, gaffes or insults: Donald Trump is finally arriving in the U.K.,” correspondents Peter Walker and Vikram Dodd said Wednesday. The Telegraph: The right-leaning, pro-Brexit broadsheet focused on how Trump’s visit might be a boost to Brexit negotiations which remain as messy and divisive as ever — most recently prompting two senior ministers (including Trump’s “friend” Boris Johnson) to resign — putting more pressure on May’s EU exit plans. “Sources close to Mr Trump have told The Telegraph that he is a supporter of a clean break with Brussels and may say so publicly if asked,” they added. “The U.S. president believes Germany dominates the European Union and wants Britain to be ‘independent’,” Riley-Smith and Hope noted, citing anonymous “well-placed” sources. The Financial Times: The FT’s Chief Political Commentator Philip Stephens said Thursday that the idea of a “special relationship” between the U.S. and U.K. had been a burden ever since Prime Minister Winston Churchill used the term in a speech in 1946. 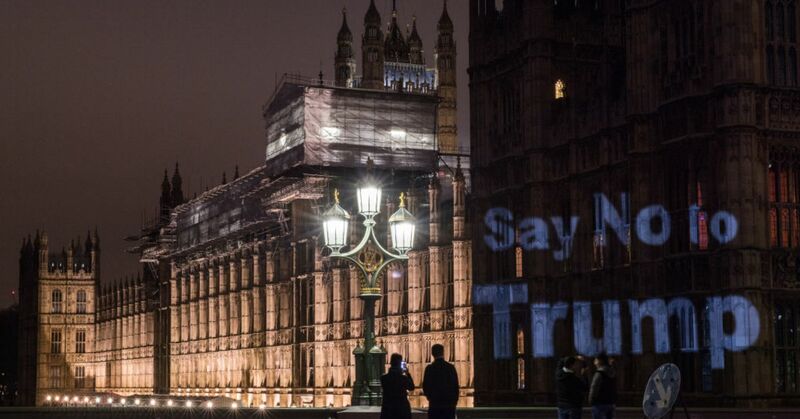 He thought hopes that Trump could be counted on by the U.K. were misguided, however. The Scotsman: Trump will travel to Scotland Friday evening and is expected to play golf at one of his two golf courses before heading on to Helsinki to meet Russian President Vladimir Putin. As with the English part of his trip, however, protests are set to greet the half-Scottish president.